"That's it," a clearly relieved Corsi told Newsmax. "I've been vindicated, there won't be any more indictments, it's over." 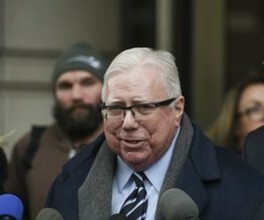 Corsi, author of "Killing the Deep State: The Fight to Save President Trump," said he had been "inundated" with calls since the news broke late Friday afternoon that special investigator Robert Mueller had submitted his findings and would not bring further indictments.